StartseiteHome BRSO Media Center CDs & DVDs Robert Schumann: Scenes from Goethe's "Faust"
Robert Schumann: Scenes from Goethe's "Faust"
Daniel Harding and Chor and Symphonieorchester des Bayerischen Rundfunks present a work on this CD, which was regarded as rare repertoire because it does not fit into any category. It's neither opera nor oratio, cantata or choral symphony: the "Faust-Szenen" by Robert Schumann. 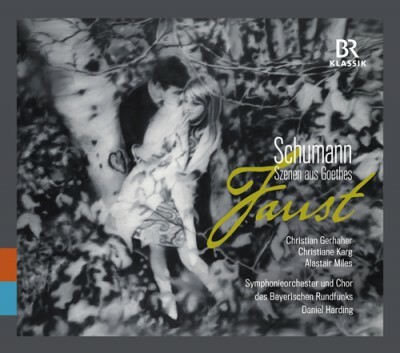 But there was a change in the classical music scene and the "Faust-Szenen" were declared one of the most important pieces of Schumann - this recording honors this special composition, which Schumann himself also named as one of its best.